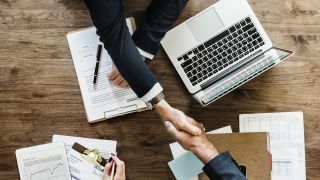 Reaching out to your legal team before a problem arises is the best way to ensure your company's contract management system is up to the task. If your software mismanages an important contract, does the legal team take the heat? If the contract administrator’s PC crashes and deletes the company files, is her job on the line? The answer to both questions is probably not. In the world of technology and business, these failures traditionally fall on the IT department — no matter how many times you have warned the contract administrator to back up his or her files or have shown the counsel how to upload correctly to the system. 1. Is it customizable to your current process and easy to update? Are you paying for features you don’t use? In other words, are you managing the system or is the system managing you? If the legal team mentions the need to “work around the process,” sends email reminders or tracks approvals manually, then these are causes for concern. If the team discloses that they are no longer using the support or hosting features that came with a high price tag, we’d recommend an immediate and direct conversation with the vendor. First off, your entire contract lifecycle should exist within the system, requiring no supplemental applications. Second, your contract software should be so adaptable and user-friendly that the legal team is able to manage updates and changes without intervention from the vendor or IT department. It should leave the contract administrator feeling like a technology guru with no-code interfaces and seamless updates. If these elements are not represented in your current software, it’s possible that you have an antiquated system that helps with basic functions but fails to deliver real operational benefits. If what we’ve covered here so far sounds familiar, we’d recommend a review of PC Magazine’s ranking of the top contract management solutions. This is an excellent resource to refresh users on software offerings and take an honest look at how well their current system stacks up. 2. Is your solution efficiently managing compliance and reducing risk? On any given day, your legal team is trying to mitigate risk and ensure compliance without becoming a bottleneck to larger business objectives. This is no easy task, especially when most legal departments take the lean approach to staffing. This is one area where a well-designed system could drastically transform the way business gets done. To be clear, the software should be more than just a repository where the legal team can complete their own man-hour reviews of the content therein. It should shoulder the majority of the risk and compliance management, with automated approval tracking and an auditor-enabled web-based interface to confirm compliance. The larger your organization, the more pressing the need to extend system integration beyond contracts, to all operational processes. One of the largest companies in the world, Chevron, faced this compliance challenge and eventually implemented the right solution for its highly compartmentalized business. 3. Does it allow you to scale rapidly if needed? Are you prepared to support the company’s strategic vision? If expansion, acquisition, merger or divestiture is a near-term strategic goal, you need a solution that allows you to meet these shifting demands. When it comes to contract software, customizable, scalable and flexible are attractive words that most providers will eagerly plaster across their website. However, once you’re in the system, you may find Ford’s expression regarding his Model T more apt: "You can have any color as long as it's black." To avoid getting locked into a solution before testing its agility and scalability, be sure to ask for a customized demo of the software. Then, reserve some of your requirements for this real-time demonstration to see first-hand how the solution responds, without giving the vendor a chance to engineer the result beforehand. Just because you haven’t seen the word ‘acquisition’ on your CEO’s slide deck doesn’t mean this question doesn’t apply to your organization. Even if the status quo is the order of the day, don’t be lulled into a position of lukewarm satisfaction with your contract software. A flexible and quickly customizable solution will make everyone’s job easier — always. 4. Does your solution provide quick visibility to status updates on contracts? For too long, legal departments have compensated for poor contract management with over-worked staff and creative document tracking understood by only one team member. When someone in Procurement requests an update on a contract or the Sales VP wants to know where an agreement stands, they have just one person to go to: a single point-of-contact. Let’s be clear that this is not a good use of resources. The company is paying a highly skilled and educated individual to be a glorified filing cabinet. If your contract solution doesn’t include ready access to documents and approval statuses across the organization, it’s not actually a solution. Recently, Suffolk University in Boston faced a similar challenge and undertook the task of streamlining contract management and extending accessibility to all team members. Now that it found the right system for its organization, contract submitters can quickly and easily review status updates; and all parties can locate historic records. Most importantly, its legal team can devote time to the activities best suited to their expertise. When applying a software solution to a business problem, it often makes sense to wait until the need is visibly impacting operations or sales success. If it’s not broken, don’t fix it. However, contract management is the exception. Regulations and compliance have grown too complex to maintain without automated, intelligent reporting. These days, an easily accessible contract can make or break a sales call with a high-value customer. And a cumbersome system could be the difference between rapid execution and missed opportunities. Given all that’s at stake, it would behoove both IT and legal to consider the possibilities of a powerful contract solution. At the very least, grab a seat around the table and ask a few simple questions.